Most Americans struggle to eat enough fresh vegetables. Dark leafy greens, like kale and spinach, are especially lacking in the Standard American Diet (SAD). According to Jill Nussinow, MS, RD, author of The Veggie Queen, “Greens are the No. 1 food you can eat regularly to help improve your health.” These veggie powerhouses are packed with calcium, fiber, folate, vitamins, minerals and they work hard in fighting cancer, heart disease and diabetes. The more immediate effect of these greens is the healing, uplifting hit of energy they provide. Solution? Get these cancer fighting leafy delights in before you leave the house. All you need is a powerful blender and your imagination! 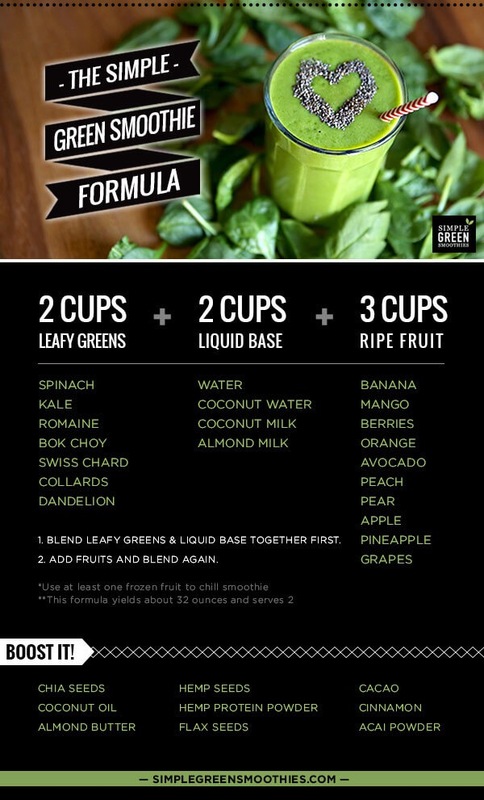 Start with a basic recipe like the one below, or use a resource like www.simplegreensmoothies.com and build from there! Give your green smoothie routine a week and it will become as addictive as your morning cup of Joe. 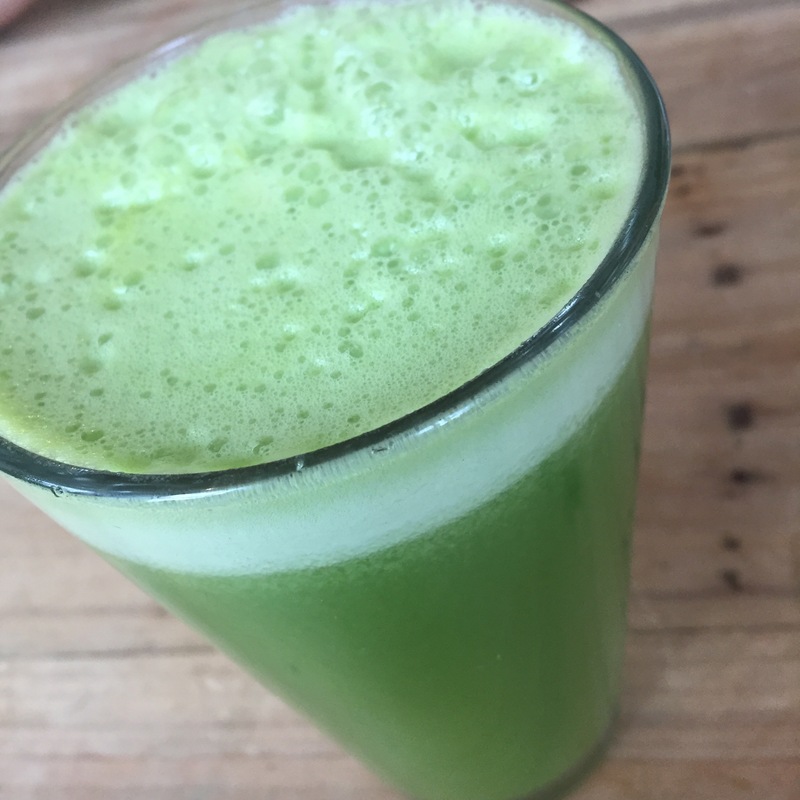 This green start to your day will also go a long way in fighting overall inflammation. This entry was posted in Blog, smoothies, Superfoods and tagged healthy lifestyle, smoothies, weight loss, wellness, Whole Foods on April 30, 2017 by Happybodyfood. This Recipe is from the first Nordstrom Cookbook. 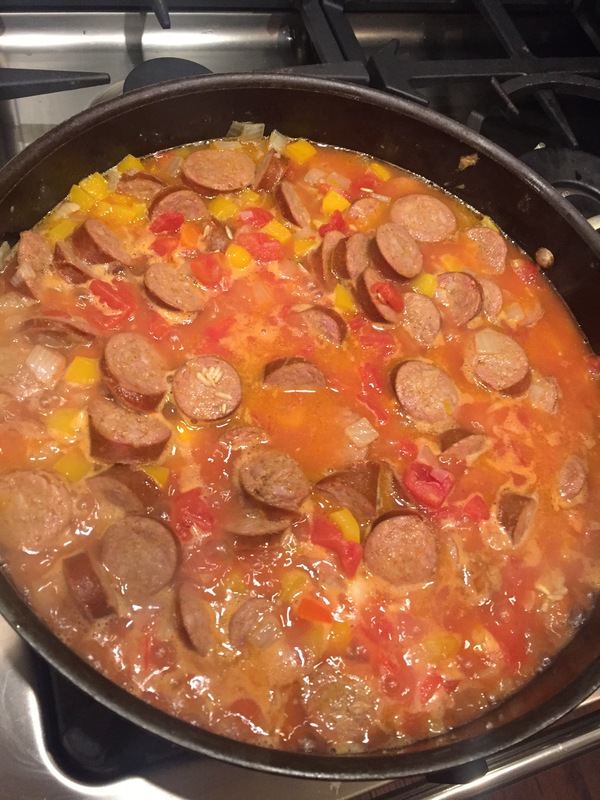 A friend made this for dinner one night, long before we started eating healthier, and it instantly became a family favorite! I love it because I have no dishes to do, and it is easy! I also love the way it makes my house smell. It creates a warm and cozy atmosphere, and the ingredients (and process) could not be more simple. Remove from heat and allow to sit for 5 minutes. Fluff with a fork and serve. Most of the fat in this will be from the sausage, so you can opt to not eat it, or cook with low-fat or turkey sausage. I like to add shrimp (already cooked and defrosted) and just toss them in right at the end, already warmed up. Leftover chicken can also be added. And again, for the kids I would leave the Tabasco for ppl to add on their own, it is spicy! To serve, top with blue corn chips and greek yogurt, DELISH! 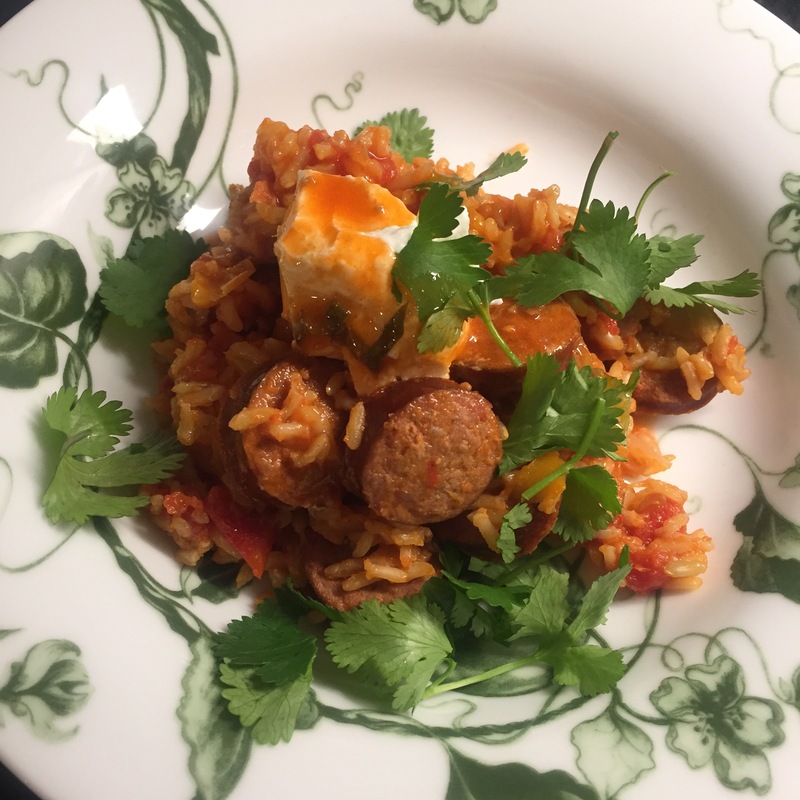 This entry was posted in Cooking, Dinner, Recipes and tagged clean eating, easy dinner, family, healthy dinner, healthy food, healthy lifestyle, jambalaya on January 13, 2017 by Happybodyfood.